The newest recruit on the Marley-owned Ghetto Youths International label Black-Am-I teams up with I Wayne, one of today’s most pivotal figures in roots reggae, on the I&I Tour that spans over 30 cities across the United States throughout October and November 2014. In Rastafarian culture, I&I represents the oneness between the human and the divine, so the title only seemed fitting for two of Jamaica’s hottest roots reggae artists who are spreading the conscious movement. This past summer, the culturally-inclined reggae singjay performed as one of the opening acts for Damian Marley, performing at large scale music events such as the California Roots Music and Arts Festival in Monterey, CA. Along with embarking on the I & I U.S. Tour 2014, Black-Am-I will perform on Oct 20 with Damian “Jr. Gong” Marley, Stephen “Ragga” Marley, Julian Marley, Shaggy, Sean Paul, Bounty Killer, Jah Cure, Busy Signal, Etana, Wayne Marshall, Jo Mersa, Christopher Ellis and more on the Welcome to Jamrock Reggae Cruise. 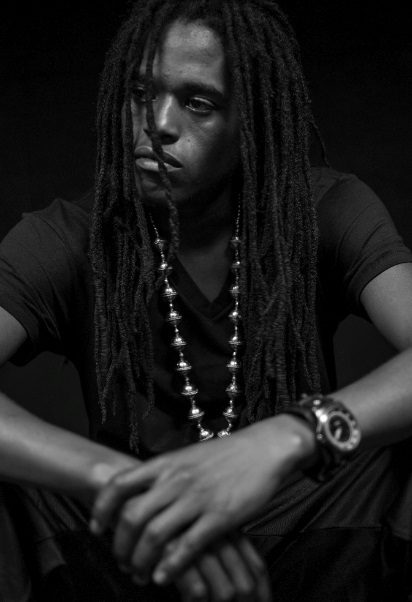 Black-Am-I recently dropped his new single “In The Ghetto,” which will be available on the upcoming compilation Ghetto Youths International Presents Set Up Shop Volume 2. Black-Am-I was born Owen Davis on Nov. 17, 1984 in Nine Mile, JA, the birthplace of reggae icon Bob Marley. In honor of Robert Nesta Marley, Black-Am-I received the nickname I-Nesta from his father. He began writing lyrics at age 16 and recorded his first demo CD in 2005. He derived his moniker from his song “Black-Am-I” the first track he recorded for Damian and Ghetto Youths International. The song promotes black pride, solidarity and self-determination. “The song says that I am black and I won’t be doing certain things like bleaching my skin; and I will stick to my roots and culture,” said Black-Am-I. Othernotable tracks by Black-Am-I include “Modern Day Freedom” and “Sound System.” His influences include Bob Marley, Damian Marley as well as fiery roots reggae artists like Tarrus Riley Sizzla Kolonji, Jah Mason and Jah Cure.